As we know that every couple have a wish of their first child. Well after getting to listen about the weddings of much celebrity in Pakistan. Today we are providing many congratulations to the Pakistani most decent actor Feroz khan to soon becoming a father. 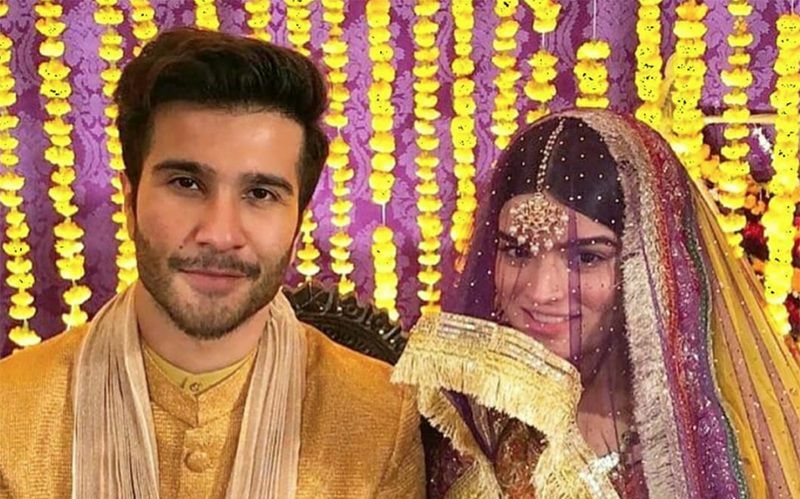 Well as we know that Pakistani actor Feroz Khan has got married and now his wife has become the main center of attraction of the trollers. His wife is very beautiful and this couple get married in very young age. Couples looks beautiful and has always shut down the trolls of the followers by sharing their adorable pictures all times. Here we have recently sharing the beautiful couple wedding ceremony where the couples was looking so complimenting ad complete in love with one another. Alizey was looking outstanding in these beautiful dresses. Furthermore, in these image both of them looks amazing for praising her beauty. The couple has not conformed this news, but in these pictures you can see the evident soon they will be welcoming the new baby in their relation and soon fans of feroz khan will be congratulating couple for new baby.